View 5 Just Listed Homes for Sale in American Fork Below. 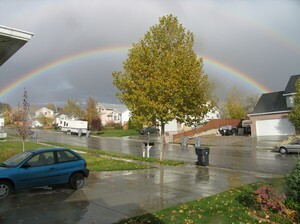 Condos/Townhomes in American Fork start at about $80,000 and single family homes start in the mid $100,000's. Most luxury homes in American Fork sell below $600,000. You can get a very nice home in American Fork for a fraction of what you can expect to pay in Salt Lake City. 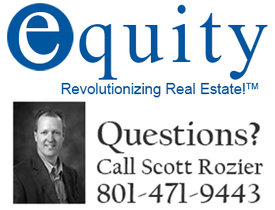 There are currently over 100 homes and condos for sale in American Fork. Finding a great home in American Fork is just a click away. While browsing if you see a home you are interested in just call or click to schedule a showing. American Fork is located in Utah County at the foot of Mount Timpanogas, it is part of the Provo-Orem Metropolitan statistical area. The current population of American Fork is just under 30,000 residents. American Fork captures the spirit of America balancing the small-town charm it was founded on, with big-city opportunities. While the city has less than 30,000 residents, it is part of a greater metropolitan area of over 500,000 people. The community is enriched by the American Fork Arts Council which presents a variety of programs throughout the year, as well as the American Fork Symphony and Utah Regional Ballet. Each summer American Fork celebrates Street Days. Street Days include parades, cooking contests, dances and golf tournaments including many other events. Recreational opportunities are everywhere including camping, golf, hiking and boating. Money Magazine placed American Fork on its Top 100 places to live in the United States. We make American Fork homeownership more affordable with our buyer and seller rebates. We look forward to helping you find the perfect home in American Fork. Know about the newest listed homes for sale in American Fork before most Realtors. When a home is listed for sale on the Realtor's MLS it is automatically added to UtahRealtyGroup.com in real time making this the most accurate and reliable real estate website in Utah County. Utah County / Just Listed! Which Home Buyer Incentive do You Qualify for?